Universal’s newly named Dark Universe hasn’t officially kicked off yet—the opening of The Mummy this weekend will signal that—but it keeps expanding nonetheless. 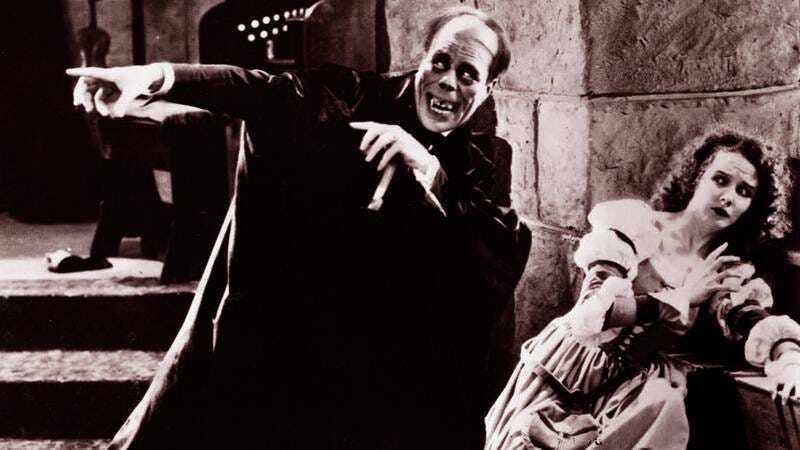 In an interview with Fandom (via /Film) Alex Kurtzman, the man who is leading this effort to get people invested in the world of spooky characters, noted that in addition to the previously announced plans to make movies about the Bride Of Frankenstein, her husband, and the Invisible Man, the studio also wants to add a little Parisian flair to its lineup with the Hunchback Of Notre Dame and the Phantom Of The Opera. Alas, in these versions the tortured souls probably will not sing. “We know we’re going to do Frankenstein, Bride Of Frankenstein, Dracula, Creature From The Black Lagoon, Phantom of the Opera, Hunchback of Notre Dame, Invisible Man,” Kurtzman told Fandom. /Film also notes that Kurtzman’s statement seems to imply that Universal is going to take another stab at Dracula in an effort to further erase Dracula Untold from the record. Bill Condon’s Bride Of Frankenstein is the next film currently scheduled for release, and, while it doesn’t have a star yet, Angelina Jolie is the name that’s most recently been floated. That won’t come out until 2019 and at that rate it’s unclear whether our own real life universe will be around by the time Universal’s one is completed.